Wireless Mesh Networks offer multiple redundant communications paths throughout the network. Whenever a link fails, the network automatically routes messages through alternate paths. They are designed to be self-configuring and self-correcting networks. Presently, wireless mesh network solutions are being provided by companies with special purpose mesh routers and equipments. The existing mesh protocols have not advanced enough yet to utilize the existing smartphones as smart node with underlying wireless technologies like Wi-Fi Direct, bluetooth, Wi-Fi Peer-to-Peer to create vast mesh networks. Local mesh network improves the efficiency of the networks; data from IOT devices, and other connected devices at home/cars can be transmitted without the internet to each other and to mobile phones when in the vicinity of the mesh. When away from home, the devices could work with Internet mode as fallback, or in future when phone mesh becomes widespread, it can be send data from phone to phone hopping through the mesh until reaches the homeowners mobile in a far off location. In case of autonomous cars, much of data need to be transmitted and processed within the car. And also autonomous cars need to communicate with other cars nearby and vice versa. Mesh networks are best suited for such situation with burdening the bandwidth on the internet. FireChat has reached the top 10 among social networking apps in 124 countries with million plus installs. Communities around the world use FireChat to overcome communication challenges. FireChat works even without an Internet connection or cellular phone coverage. Use it anywhere: planes, public transportation, cruise ships, campuses, and crowded events. All you need is a few people around you using FireChat. 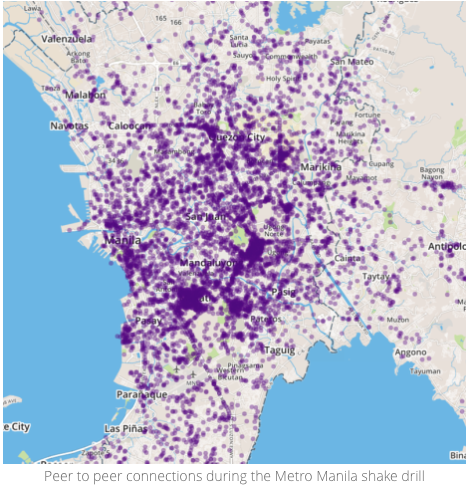 During the Manila Shake Drill 2016, at a density of over 700 users/km sq., when only 32% of users receive a message from our servers and cell towers, FireChat delivered messages to 80% more users.
? Natural disasters including floods in Kashmir (April 2015) and Chennai (October 2015), the eruption of volcano Cotopaxi in Ecuador (August 2015), and hurricane Patricia in Mexico (October 2015).
? Massive events: pro-democracy protests in Taiwan (April 2014), Hong Kong (September 2014), the Bersih anti-corruption movement in Malaysia (August 2015), and the visit of the Pope in the Philippines (January 2015).
? Historical elections in Venezuela (December 2015) and the Republic of the Congo (March 2016). Started as Dharamsala Community Wireless Mesh Network which eventually morphed into a social impact venture call AirJaldi providing internet connectivity to 1000’s computers using Wireless Mesh networks. In the process creating Asia’s largest wireless Mesh Network. Air Jalid is currently available in some of remotest corners of the country like Amravati, Bylakupe, Dharamshala, Gharwal, Manali, kumoan, Mungod, Thanjavur, Palampur Mandi. Why we need mesh networks in India?Can we innovate and adapt Wireless mesh networks for India? India’s low broadband penetration of 7% is a cause for concern. A lot of developed countries have used the cable television network to increase broadband penetration, but this hasn’t taken off seriously in India. . AirJaldi with the power of mesh networks has set the ball rolling using existing open sources technologies to provide internet connectivity to the far fetched corners of India. With recent launch of Reliance Jio with a focus on data at an affordable cost is likely to accelerate the adoption of internet across India. Despite this there clear case for adoption and use of Mesh Networks, given the inherent redundancy and reliability of the Mesh Networks. Multiple network technologies can be deployed based on use cases. India has a vibrant pool of engineers and researchers to work on the next generation of mesh based networks using existing variety of underlying wireless protocols, each with its own strength. Some work with low delay , low energy, high throughput. All combined together with phone as node can create a parallel communication channel away ensuring privacy and as secure as internet. Mesh can be the missing link to ensure last mile penetration of broadband widely in India, to kickstart the digital revolution for the next 300–400 million of India. The time is ripe for India based pure technology companies to make solutions and products not just for India, but for the first world also. 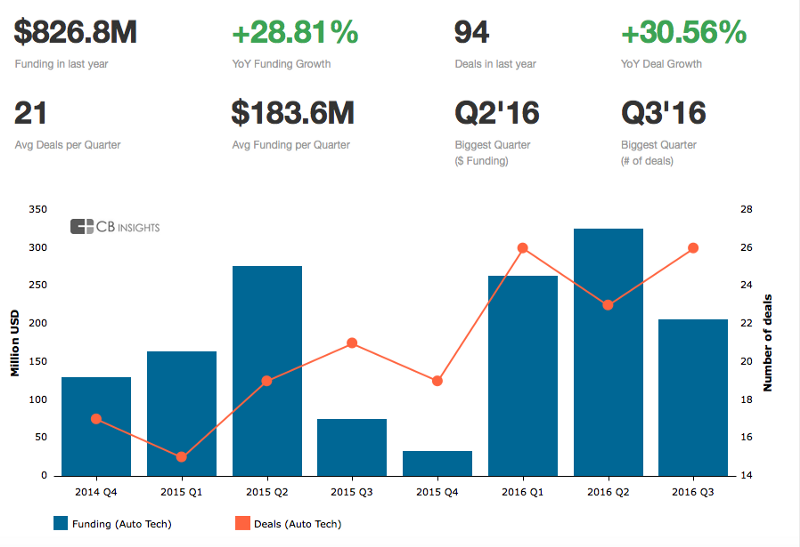 India based pure play technology companies have started making their presence felt for sometime now, supported by venture capital firms. Mesh networks based startups present Indians VC a pure play technology opportunity to play on the global stage, could we create a whatsapp like phenomena? The pace of research and development of mesh networks is driven by pace of adoption of IOT, connected devices like home automation, car automation and smart cities. 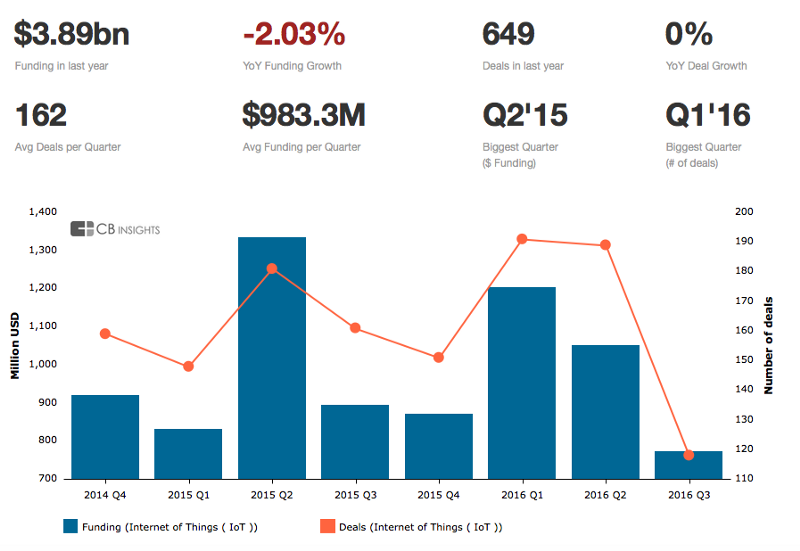 Global funding in IOT and connected cars has a trickle down effect for funding companie in the mesh networks space. Indian innovation on the pure play technology has to accelerate, considering the growth of smart technologies (across cars, homes and cities) the need for robust networks to work within, and across them presents entrepreneurs with an opportunity to work and advance mesh networks for India in particular. #TrackingTrends is a series of articles on topics, technologies and trends that are likely to have an impact on us in the years to come. Note?—?Kalaari or Kstart is not an investor in the above mentioned startups. Disclaimer : It is strictly an independent opinion of the writer, not representative of Kstart or Kalaari.